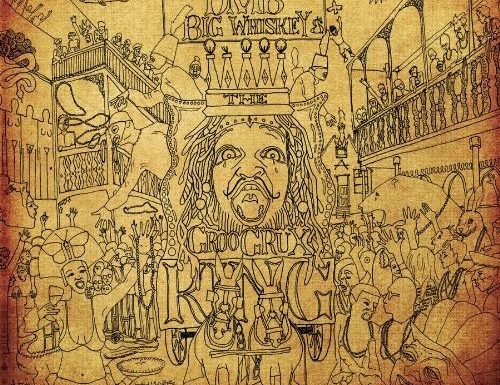 The Album: For the past couple of weeks, I anticipated the arrival of the latest Dave Matthews Band album: Big Whiskey and the GrooGrux King. For the first time since I was in college, I sat down in a dark room and listened to an entire album, start to finish, with no interruptions. 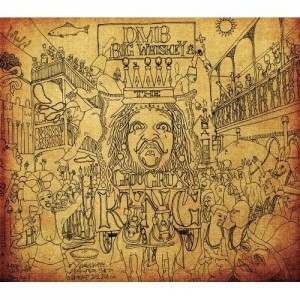 For the first time in 11 years, I think Dave Matthews Band has released a great studio album. The album starts off with a beautiful, haunting saxophone solo by LeRoi Moore. I was overcome with sadness, realizing at all that was lost musically and otherwise, when he passed away last year. But just as the sadness peaked, the album made a sudden and unexpected shift directly into the horn-heavy, hard-driving, and upbeat song Shake Me Like a Monkey. The song Alligator Pie has The mood, tempo, and instrumentation changes throughout that represent the best of everything that is Dave Matthews Band, both new and old. The album ended and I sat in the dark room, reflecting, and then the “hidden” track at the end started about 30 seconds later, with a saxophone feature, a dissimilar but none the less perfect bookend to the into to the album. I think multiple listens are required to fully appreciate the musical complexity and lyrics of a song, much less an entire album. But you do know if you want to listen to it again, and I do. 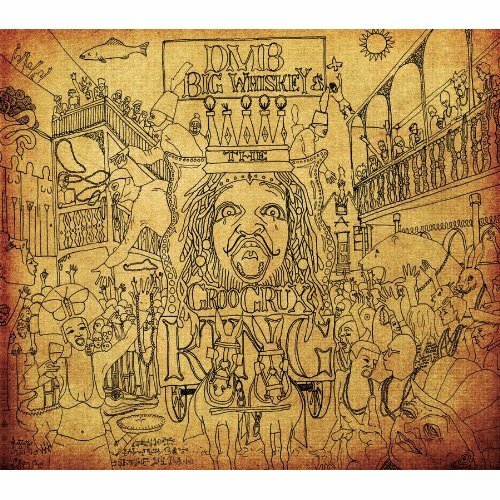 I’ve been a fan of DMB for 16+ years, and I can’t help but reflect on all of the changes in my life and compare them to the current-at-the-time music of the band. From college to graduation to employment to marriage to fatherhood, there have been DMB songs/concerts/memories to help track the timeline in my mind. I’m glad there is something new and positive to echo my current chapter. And at the same time, I lament all that has been lost along the way. Why can’t they get “Dave Matthews Band” right? The first thing I did with the CD was to back it up to my server. I use dBpowerAmp Music Converter to do bit-perfect backups of CDs. I’ve paid for the annual subscription to make sure I get the best meta data possible (description: PerfectMeta™ uses 4 providers: AMG, GD3, MusicBrainz and freedb simultaneously to get the most accurate album details.) So how does this quadruple-verified data get the band name wrong — twice?? The artist name is not “Matthews, Dave Band” — it’s “Dave Matthews Band”. The album artist isn’t “Dave Matthews” — it’s “Dave Matthews Band”! The labels provide this data. Why can’t they get it right for a band that released dozens of albums under the same band name? I used the Anthem Logic Music mode, which subtly adds multi-channel resonance using 7.1 channels. It’s targeted at highly damped home theater rooms and recreates the effect of a 2-channel setup in a room with lots of sounds reflections. (Rooms designed for 2-channel need low acoustic damping and lots of reflection; multi-channel setups need high damping and minimal reflection. A room has to be setup for one or the other because both sound terrible if you target the middle ground.) In addition, the D2 is capable of the full-spectrum frequency correction for all 8 speakers. This combination makes this is the is by far the best sounding system I’ve even owned. Anthem really knows what they’re doing in terms analyzing a room and making it sound great. It brings 2-channel audio to life in a manner that is true to the original recording without gimmicky surround effects. Bourbon: There’s no way I could listen to an album entitled Big Whiskey without sipping a glass while doing so. My friend Bryan Willett introduced me to Blanton’s Single Barrel Bourbon Whiskey over the weekend and Nicole picked-up a bottle while in Lexington. It offers the smoothness that a Scotch can’t match but it has enough complexity to keep the flavor interesting. I sipped it uncut but on the rocks. Highly recommended. Stephen, thanks for the positive feedback! Yeah, I wish I had more time to devote to the site…and to my home theater and auto projects as well! I still find time for whiskey.